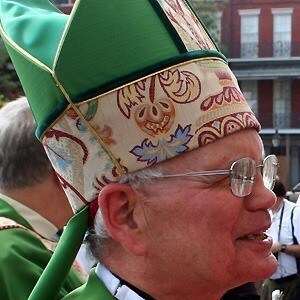 American prelate of the Roman Catholic Church who served as the 13th Archbishop of New Orleans from 2002 to 2009. He received a Bachelor's in philosophy from St. John;s Seminary College in 1954. Hurricane Katrina drove away nearly a quarter of his archdiocese's former members and left it with nearly $300 million in physical damage. His younger brother, Kenneth, is a Jesuit priest. He was appointed the new Archbishop of New Orleans by Pope John Paul II in 2002.